Could you become a Councillor? 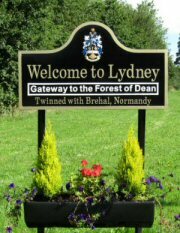 Lydney covers approximately eight square miles, and stands on the north bank of the UK’s longest river, the River Severn, it is the gateway to the glorious Royal Forest of Dean by road, rail and sea. Steeped in history it has been suggested that the Saxons named the settlement ‘Lydeney’ possibly meaning either ‘Travellers Island’ or ‘broad’, referring to the River Severn itself. There is also evidence that the surrounding area has been farmed since the Bronze Age. Lydney Park is thought to have been a significant Roman settlement; with temple, bath house and guest house dating back to the 4th century, known as Dwarf’s Hill. Ever since Roman times there has continued to be a settlement. In later years, Lydney became important for producing and transporting coal, stone, tinplate and timber, with Lydney Harbour being a small but thriving port. In 1980, the lower and tidal basins and the connecting lock were classified as a Scheduled Ancient Monument and the rest of the harbour area, which dates from the 1870’s, is a rare and historically important example of an un spoilt 19th century harbour built for sailing ships. Both iron and coal were exported from the Forest, often on ships built using local oak grown in the Royal Forest of Dean. Until Stuart times, quite large ships were constructed at Lydney, including the 306-ton, 22-gun frigate ‘Forester’ in 1657 and the 620-ton frigate ‘Princess’ in 1660. The town was the home of Sir William Wintour, Admiral of the Fleet of Queen Elizabeth I in 1588, and many of the ships to oppose the Spanish Armada were built here. This site is continually being improved and updated.